​On the west wall we see three pieces, Landscape, Suite in Three Movements, created by Iowa artist Ellen Wagener. 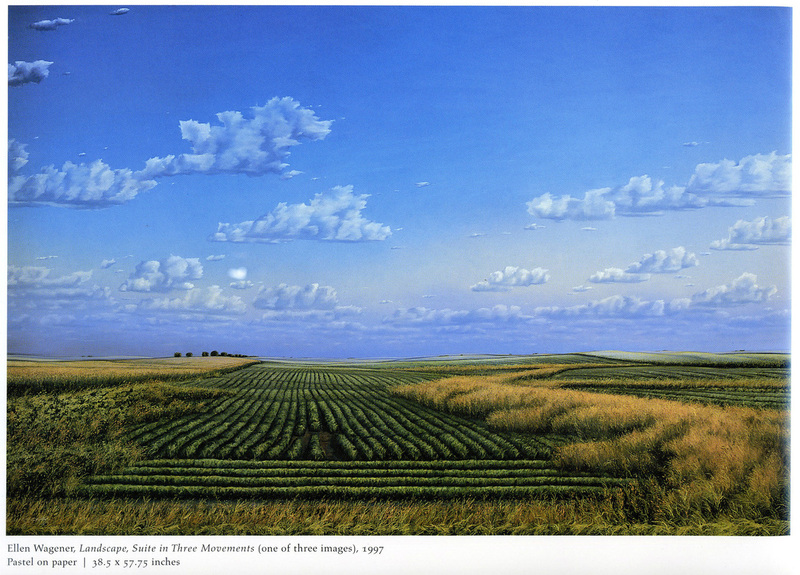 In her art, Wagener expresses her deep reverence for the land of Iowa and devotion to the beauty of the world. She feels that art is a spiritual vocation, and that landscapes are the easiest way for her to communicate her joy of life.